As proud as we were to have been selected, we also knew we’d need to think big. This year’s re:Invent would welcome more than 50,000 attendees, and we had an opportunity to help AWS improve each of their experiences before and during the much anticipated event. We launched a beautiful, feature-packed solution to serve as a companion for planning and navigating all aspects of the event. Ready for the highlights? 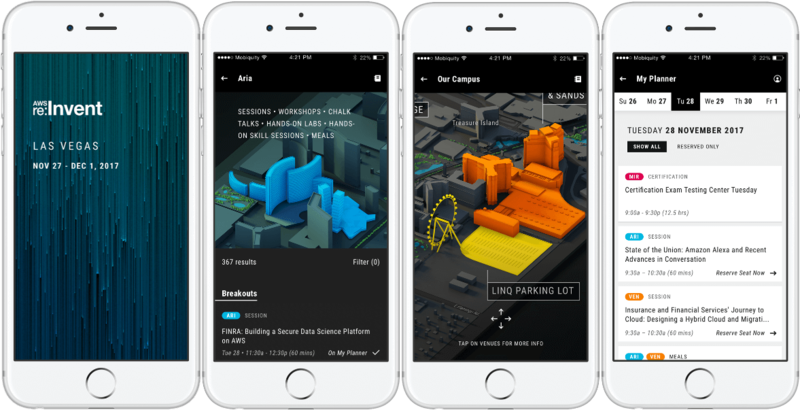 If you’re attending re:Invent, we encourage you to download the app and let us know what you think. And be sure to keep an eye out for future releases, as they’ll be coming soon.